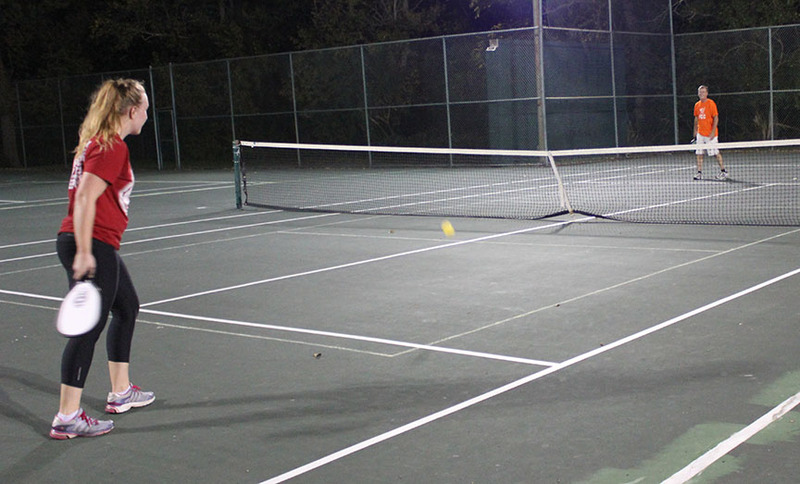 Fort Thomas is fortunate to have some great parks which include tennis courts. But tennis courts aren't just for tennis. 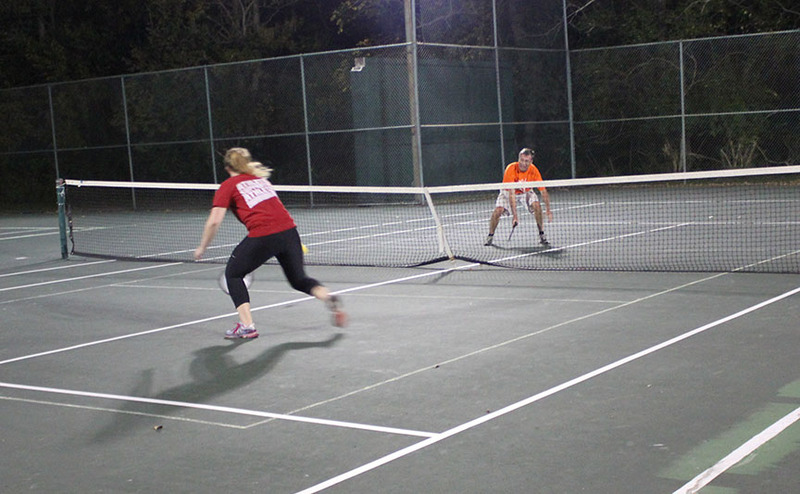 If you'd like to try a fun sport that is truly sweeping the country, check out Pickleball. 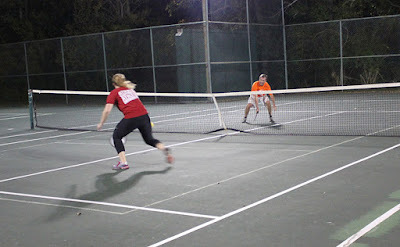 If you're not familiar with Pickleball, here is a brief description. 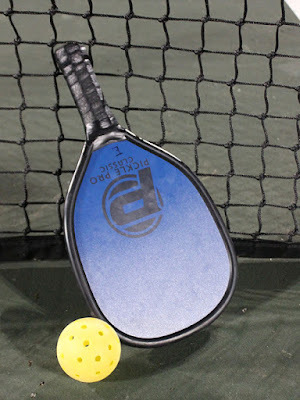 It's a racquet sport that takes a little bit from badminton, tennis, and table top tennis (Ping Pong). The ball used is a wiffle ball. The racket is the size of a Racquetball racket, but solid wood instead of with strings. While it uses tennis courts, the court is marked off much smaller so you're playing closer to the net. It can be played with two, three, or four players. Servers use an underhand stroke and points are served by the side that serves only. The first side that scores 11 points and leads by at least two points wins the game. The game originated at the home of Joel and Joan Pritchard of Bainbridge Island, Washington in 1972. Joel was a State Representative of Washington at the time. He and two of his friends returned to his house after playing golf and found their families bored and wanting to play something. 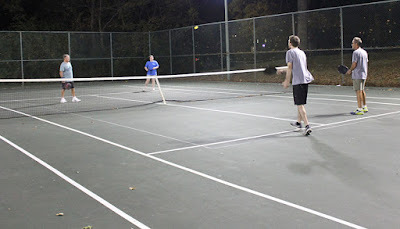 They decided to play Badminton but since they couldn't find a shuttlecock they lowered the net and used a wiffle ball instead. While some people claim the game was named after the Pritchard's family dog, Pickles, the dog was actually named after the game. The name came from the word "pickle boat," which refers to the last boat to return with its catch. Joan Pritchard told her family and friends the game reminded her of the pickle boat crew where oarsmen were chosen from the leftovers of other boats. 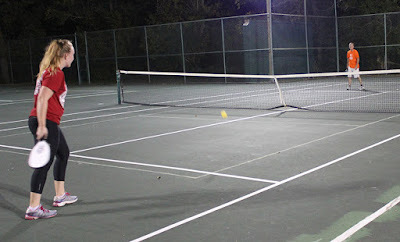 Since the game was created from parts of other games, the name "Pickleball" stuck. 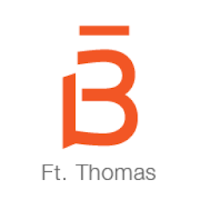 Todd Eger brought the game to Fort Thomas after he was introduced to by a friend four or five years ago. "It's a lot of fun and I like that it attracts a wide age group." 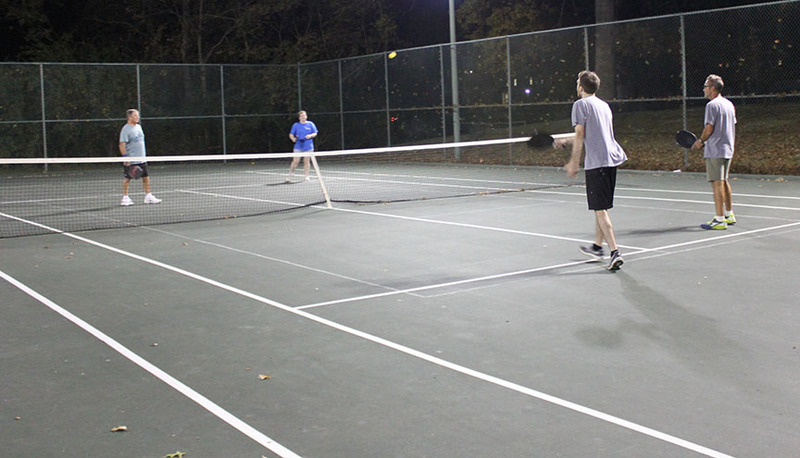 Todd has the tennis courts at Tower Park reserved every Tuesday from 7–9 p.m. The season will be ending soon because of the weather but will start up again in late March. "Show up any Tuesday and try it out. We have extra rackets and balls so just wear your tennis shoes," says Todd. 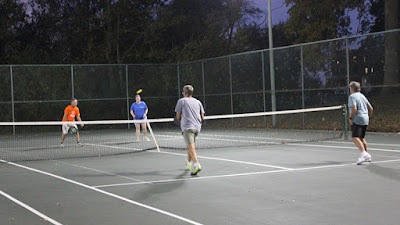 Michelle, thanks for helping me bring awareness about pickle ball to the residents of Ft Thomas. And I also want to thank Kat Disney from the recreation department for her help! Thank you so much for introducing us to pickleball and for organizing Tuesday nights at the Fort! We love the game and have met so many nice people. You're the best!